Kela Devi Marriage Garden, Vaishali Nagar, Jaipur is a lovely venue to host your wedding and reception ceremony. It is located on the Janpath Road which makes it easily accessible for all to reach there. Kela Devi Marriage Garden allows you to get your own caterer from outside to serve lip-smacking cuisines. It gives you the freedom to get your own decorator from outside to decorate the venue as per your requirements. Kela Devi Marriage Garden Jaipur has a sprawling lawn that is amidst lush greenery which will refresh your senses. The venue has an inviting ambience which makes everyone feel welcomed. It offers great seating arrangements for all and the creative team makes the place look beautiful. 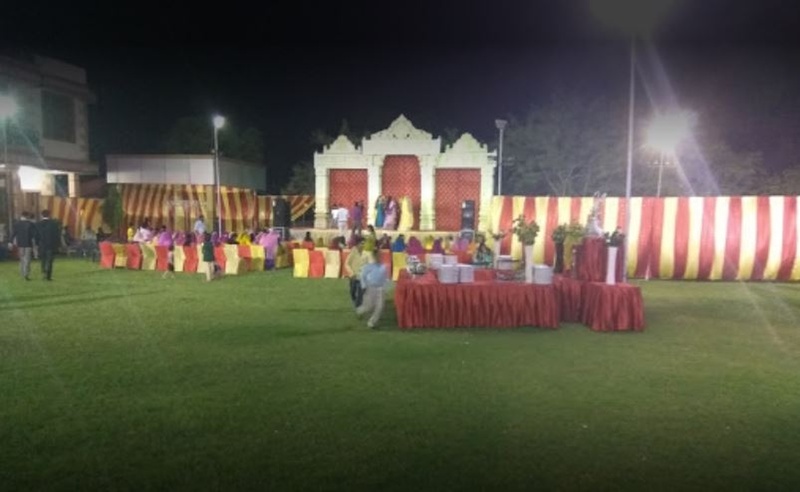 Plan your events at the Kela Devi Marriage Garden, Vaishali Nagar, Jaipur to make them outstanding. The Kela Devi Marriage Garden located in Vaishali Nagar, Jaipur has Wedding Lawns. Lawn can accommodate upto 3000 guests in seating and 4500 guests in floating.